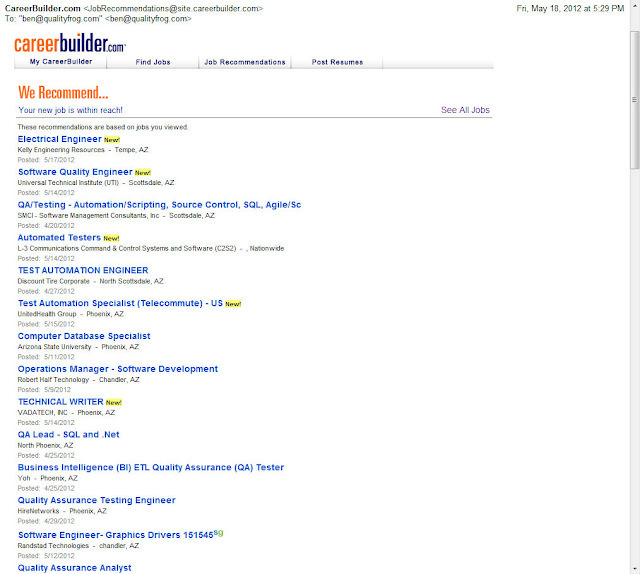 CareerBuilder.com sends me periodic emails listing jobs that its recommendation engine determines to be a match to information in my resume. 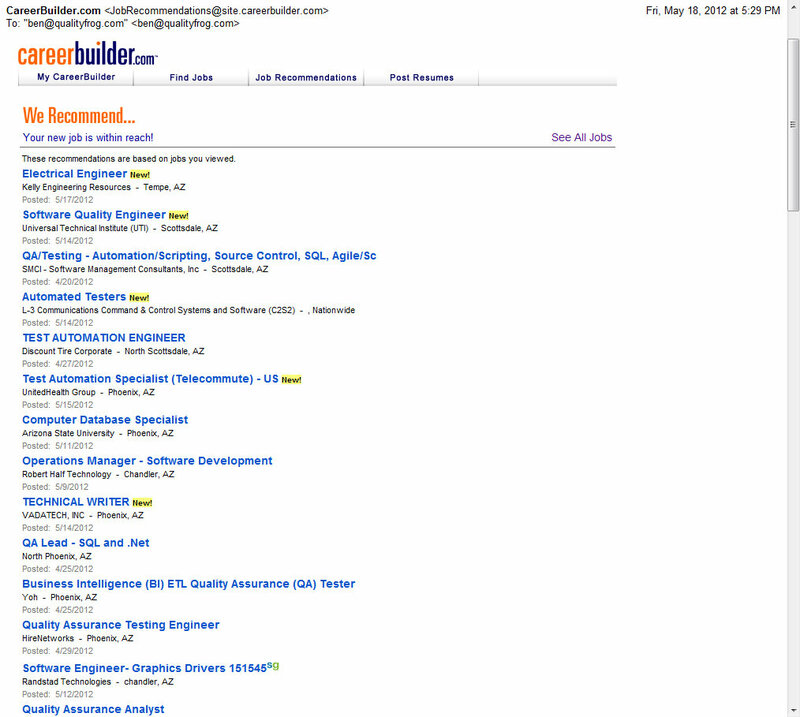 When I click the "See All Jobs" link at the top right of the list in the email, the CareerBuilder site opens in my browser. However, it says "You have no matches." and "Sorry, we couldn't find any jobs to recommend at this time. Please try again later." Every time. Every email links me nothing. While the presence of a software bug doesn't tell us whether or not the software's maker is aware of the problem, perhaps CareerBuilder.com could use some help in testing their site. Perhaps they could make use of my services. I am available. We were experiencing a site issue during the time of your email that has since been resolved. You should be able to access your job recommendation within your account at this time. 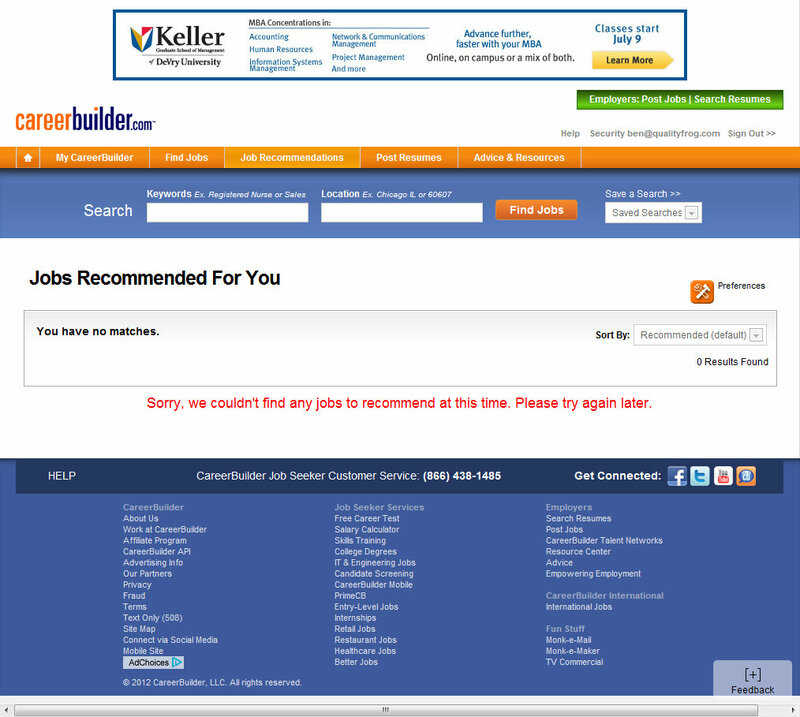 If you are still experiencing any issues please contact us at cbhelp@careerbuilder.com.